Retired Judge Lillian Fisher passed away on June 7th, 2015 at the age of 93. I practiced in Judge Fisher’s courtroom at the very end of her career. I knew her longer during her retirement years, as an active Democrat. Judge Fisher is the mother of Marjorie Cunningham, the wife of former state senator George Cunningham, and is grandmother to Tucson City Councilman Paul Cunningham. 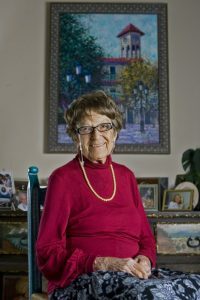 Her daughter Anne Segal served as a Justice of the Peace in Pima County. The Arizona Law community mourns the passing of our accomplished alumna, Retired Pima County Superior Court Judge Lillian S. Fisher, on June 7, 2015. A member of the Class of 1963, Judge Fisher advocated for women in the law, co-founding the Arizona Women Lawyers Association and the National Association of Women Judges. She provided the initial endowment for the Udall Center’s Lillian S. Fisher Prize in Environmental Law and Public Policy, presented annually to an Arizona Law or UA graduate student studying law and public policy. Judge Fisher was also a very active member of the community, helping to establish organizations such as the Southern Arizona Hiking Club and the Invisible Theater. The UA College of Social & Behaviorial Sciences presented her with its first Lifetime Achievement Award on April 15, 2015. Judge Fisher was preceded in death by her spouse Bernard. She is survived by her daughters Marjorie Cunningham and Anne Segal, both attorneys in Tucson; her son Michael Fisher, a high school science teacher, of West Palm Springs, Florida; eight grandchildren;, and five great-grandchildren. Her grandson Paul Cunningham is a member of the Tucson City Council. 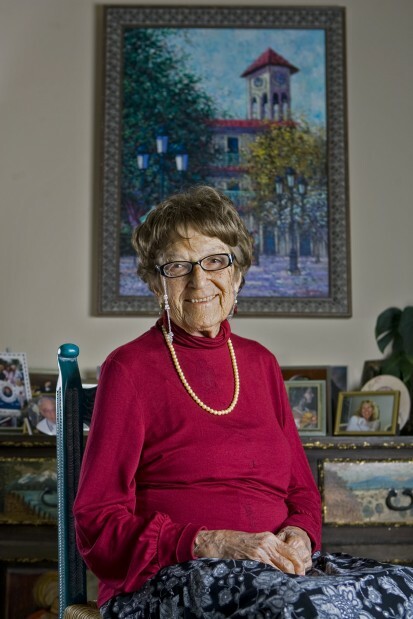 Learn more about Judge Fisher’s legacy in her interview last month with Arizona Jewish Post or the Arizona Daily Star’s photo gallery. It is with sincere sympathy and deep condolences that we say goodbye to the Honorable Lillian Fisher. The retired Superior Court Judge, mother of Marjorie Cunningham and grandmother of Council Member Paul Cunningham passed away on June 7th, 2015 at the age of 93. Lillian led a full and inspirational life. She received her degree from Brooklyn College in 1942, majoring both in Physicology and Education Cycle. It was later in her life, after starting a family and moving to Arizona, that she made the decision to return to school and study law. Lillian graduated in 1963 from the University of Arizona James E. Rogers College of Law and started her own practice. In 1974, Lillian Fisher ran to be elected as a Pima County Superior Court Judge serving in that position for seventeen years. Judge Fisher was a strong advocate for women in law, founded the Arizona Women Lawyers Association and was a founding member of the National Association of Women Judges. She also helped establish many Tucson organizations, including the Tucson Botanical Gardens, Southern Arizona Hiking Club and Invisible Theater. Lillian remained very active in politics, education and community service throughout her life. Recently, Lillian received the first Lifetime Achievement Award from the University of Arizona College of Social and Behavioral Sciences. The Pima County Democratic Party sends our condolences to Council Member Cunningham, Marjorie Cunningham, Anne Segal, Michael Fisher and the entire Fisher family. Services will be held Thursday, June 11 at 10:30am at Congregation Anshei Israel (5550 E. 5th Street). The Arizona Daily Star also has a report today. Former Superior Court Judge Lillian Fisher dies at 93.